Mortal Kombat fans have been looking forward to Mortal Kombat X, the newest next-gen entry to the long-running fighter series, for quite a while. Now, as they've already done with properties like Injustice: Gods Among Us and WWE: Immortals, Warner Bros. is preparing a mobile companion app to go along with the much more complex console game. It will be available sometime in April, probably around the same time that the full game is released. The mobile version will come from WB's in-house developer NetherRealm, which also developed the mobile versions of Batman: Arkham City Origins, Injustice, and Immortals. That being the case, you can expect a swipe-and-tap combat system and an upgrade/collection mechanic that dips into the deep end of the free-to-play pool. The press release below calls Mortal Kombat X "a hybrid of fighting, card collecting, multiplayer team combat and more." That usually means some unfair matches in multiplayer and the higher tiers of the single-player game. To be fair, WB's free-to-play games haven't been all that egregious so far - they seem to understand that reasonable in-app payments make for better games, which get more players, and thus earn more money. The previous WB-NetherRealm games have also been among the most graphically intense on Android. If nothing else, Mortal Kombat X should be pretty when it comes out... in so much as a series infamously free with blood, guts, and flying limbs can be called "pretty." Owners of the console game will be able to unlock exclusive content in the mobile version. BURBANK, Calif. – March 2, 2015 – Warner Bros. Interactive Entertainment today announced Mortal Kombat X, a free-to-play fighting/card-battler hybrid that delivers the next evolution in mobile fighting games for iPad, iPhone, iPod touch and Android users. Developed by award-winning NetherRealm Studios, the game delivers striking graphics and brings a custom Mortal Kombat fighting gameplay experience anywhere, anytime through the accessibility of mobile devices. Mortal Kombat X will be available April 2015 on iPad, iPhone, iPod touch and Android devices. As the next evolution of mobile fighting games, the Mortal Kombat X mobile game will feature a hybrid of fighting, card collecting, multiplayer team combat and more, featuring shocking Fatalities, legendary Mortal Kombat characters like Scorpion, Sub-Zero and Raiden as well as the Next generation of Kombatants. 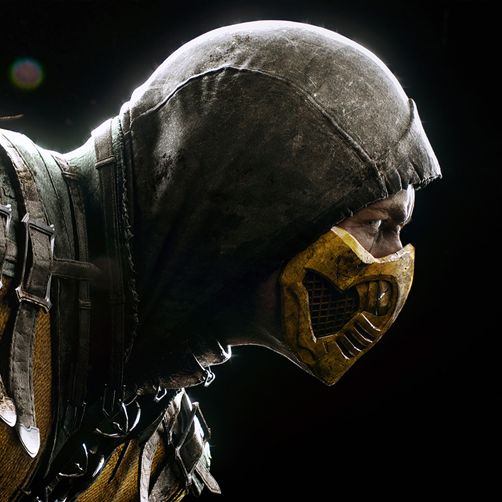 The Mortal Kombat X mobile game will showcase the iconic visceral combat with the vicious graphics that Mortal Kombat fans love, along with brutal Fatalities, x-rays and more. The console and PC versions of Mortal Kombat X will be available worldwide on April 14, 2015. Once launched, players who own the forthcoming console or PC versions of the game will be able to unlock content in the mobile game and vice versa by signing up for a WB Play account and completing tasks and achievements within each version.